An Article I wrote for Onboard Online, which I share here! Part 2 to come soon! You cannot pronounce a wine good or bad by smelling the cork. However, it’s worth noting that cork taint cannot do you any harm, and usually seems to disappear if the wine is cooked with, so it need not necessarily have to be poured down the sink. The phrase ‘room temperature’ was coined by people in England before the arrival of central heating. It meant as opposed to cellar temperature, and probably depended on where in the room you were at the time. So thermostats and different countries and climates have rendered it useless. It’s a personal choice. If you dine al fresco in Sydney or Cape Town in the summer these days you will likely be given an ice bucket irrespective of the colour of wine you ordered. You can always warm a wine up with your hands, but unless you are a lizard you cannot cool it down. There are no fixed rules for food and wine matching, and this general rule of thumb has so many exceptions that it is not very helpful. A light fresh simple dish of grilled white fish with oil and lemon will warrant a white wine for sure, but a rich salmon dish with a sauce of mushroom or fruit, or meaty fish such as tuna and swordfish are usually better suited to reds. Salty flavours usually want tannins in a wine, which means red, and spicy flavours usually warrant rich wines with some sweetness or alcohol, and not determined by the colour. 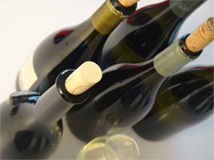 Red Loire Cabernet Franc wines are among the most versatile of all wines and can easily accompany a variety of fish, poultry, meat or cheese dishes. While ‘you get what you pay for’ is often a good maxim with wine, the price of a bottle of wine depends on many factors – the cost of vineyard land, ease of growing grapes, packaging, rarity and reputation. The most expensive wines will be those where all these costs are high. However, the world’s best, say, Muscadet or Jumilla, will remain relatively inexpensive wines because the land is cheap and the demand relative to availability greater. These may well be far better quality examples of their kind than a Burgundy or Napa Cabernet at twice the price. The word ‘snob’ seems to follow the word ‘wine’ more frequently than it does any other. But true connoisseurs of wine realise that sometimes a cheap wine is the perfect match, and that it does not matter how much you know about wine, the one constant is that there is, and always will be, more to be discovered. Beware those who hide their ignorance behind arrogance! About 1% of people may experience an allergic reaction to the Sulphites in wine, resulting in a headache (or worse). This is a high enough percentage that wines now routinely carry the standard allergen warning. Sulphites are natural substances which exist in all living creatures, and are in fact a by-product of the yeast that causes the fermentation. 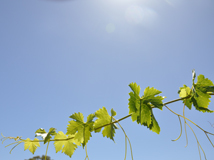 Additions (as Sulphur Dioxide SO2) are normal and traditional as they stabilise the wine and prevent bacterial spoilage and oxidation. White wines contain more (and sweet wines even more) than reds. SO2 has the E number 220. Have a look in your kitchen cupboard to see how commonly this substance is used. A packed of dried raisins or apricots will have far more sulphur than a bottle of wine. 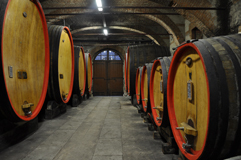 It is – just - possible to make wine without adding Sulphur, but they tend to be dark in colour and often somewhat unstable, as well as retaining the naturally yeast-produced sulphites anyway. What gives you the headache is the alcohol I’m afraid. Make sure you match the wine with an equal quantity of water throughout your evening and watch you consumption to lessen the risk of a headache.